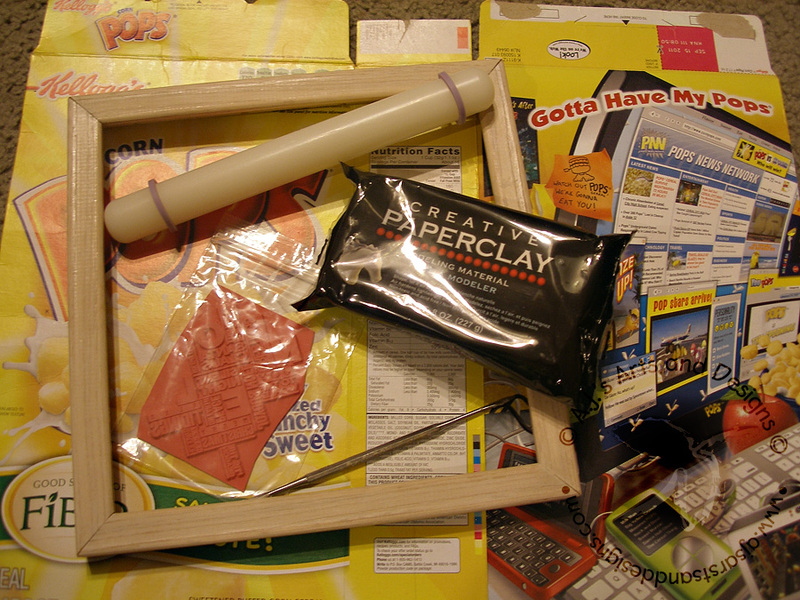 Rescue Frame FAIL Meets Creative Paperclay® Project | Who Are You Calling Crafty? I was walking home with my daughter and saw this square frame with glass out on the curb. I picked up the frame because it had glass that was not broken! Rewind a little I have the worst luck with glass and frames every frame in my house has cracked or chipped glass. I managed to sit on my father-in-laws Christmas present breaking the glass. I of course broke this glass trying to pry the staples out. It has sat on my WIP pile and I knew I needed to use it some how. 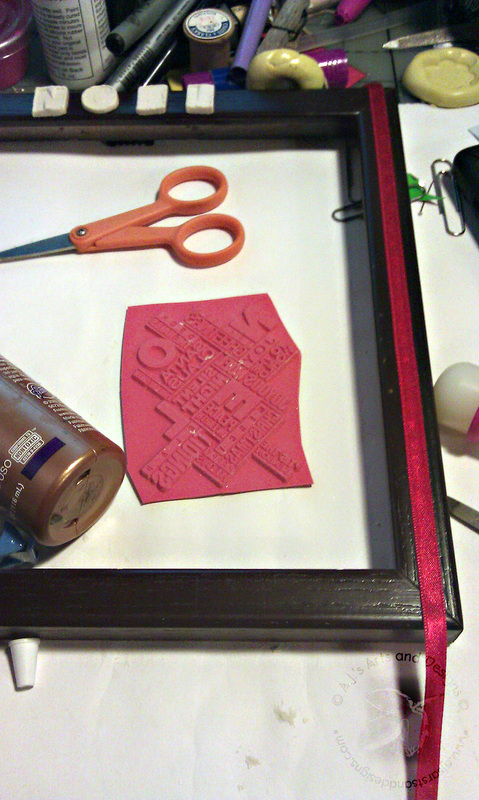 This Design Team project I needed to use Viva Las Vegas Stamps some how in our project. 1. 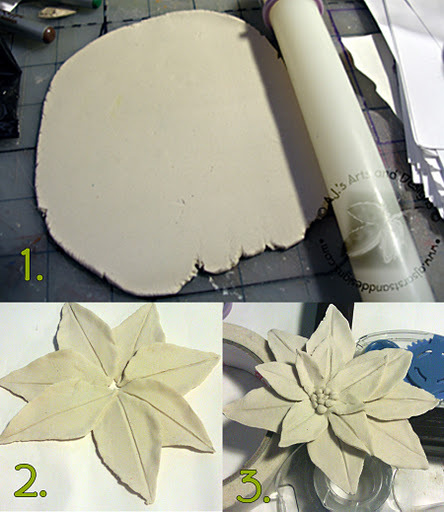 Roll out and create petals for the poinsettia (7 for the base – 5 for the 2 layer – 2 for the top). 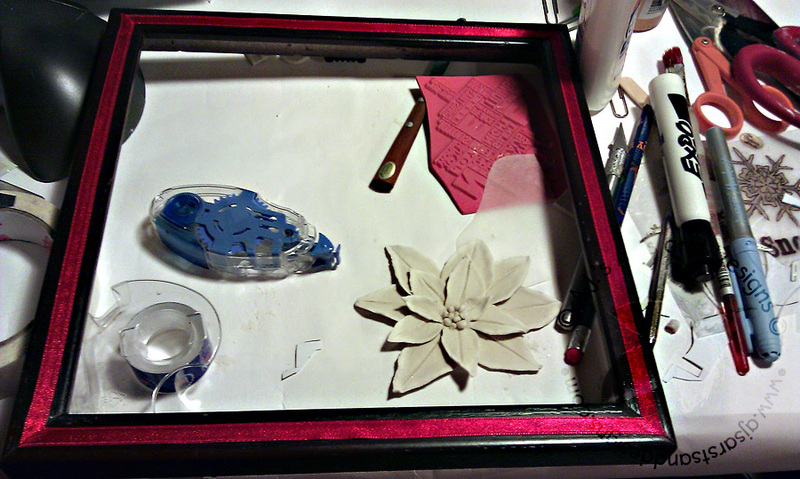 Put the petals together one layer at a time. 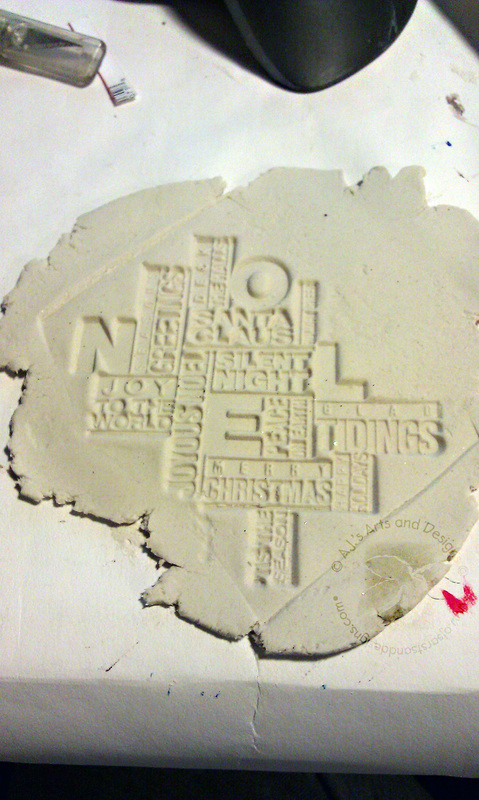 Add little balls of clay for the center. Allow to dry for 24 hours. 2. Spray paint frame Brown. 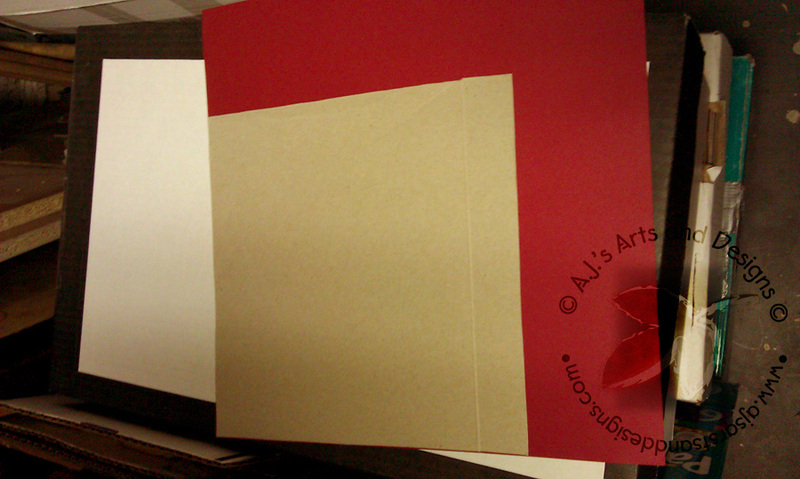 Use spray mount to adhere paper to the glossy side of the cereal box. 3. 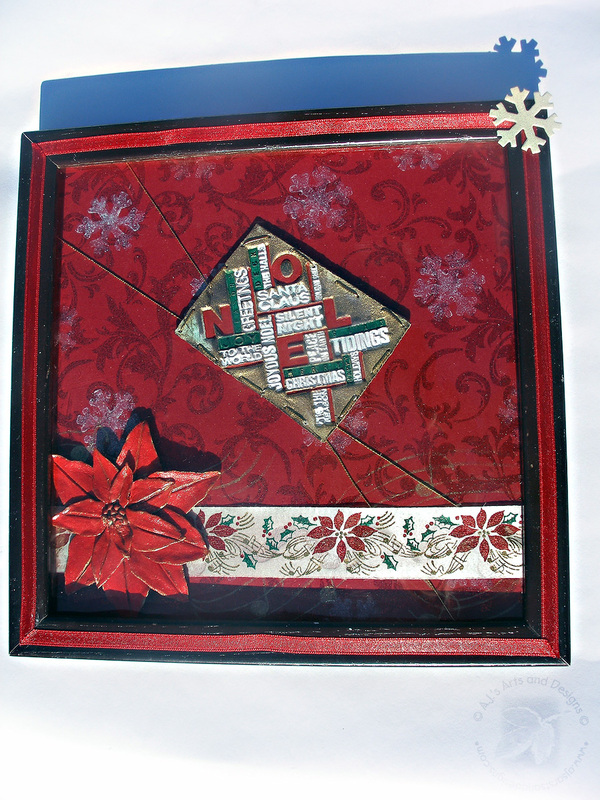 Add ribbon with Tacky Glue® to the frame. 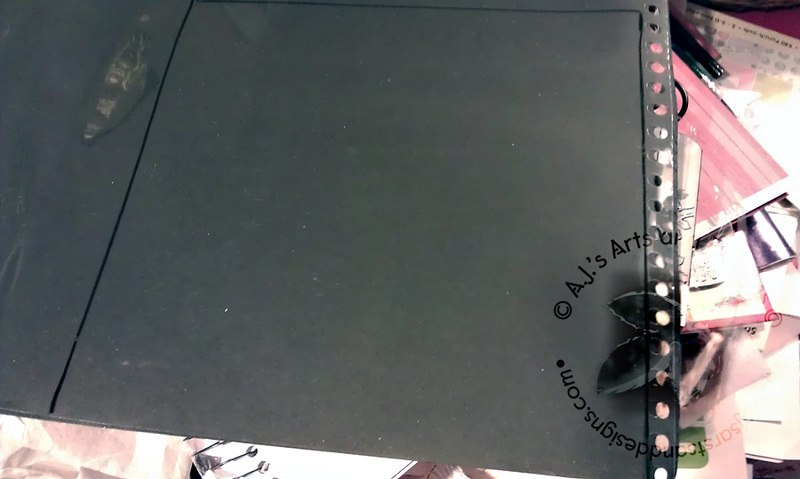 Cut Acetate to fit inside the frame. 4. 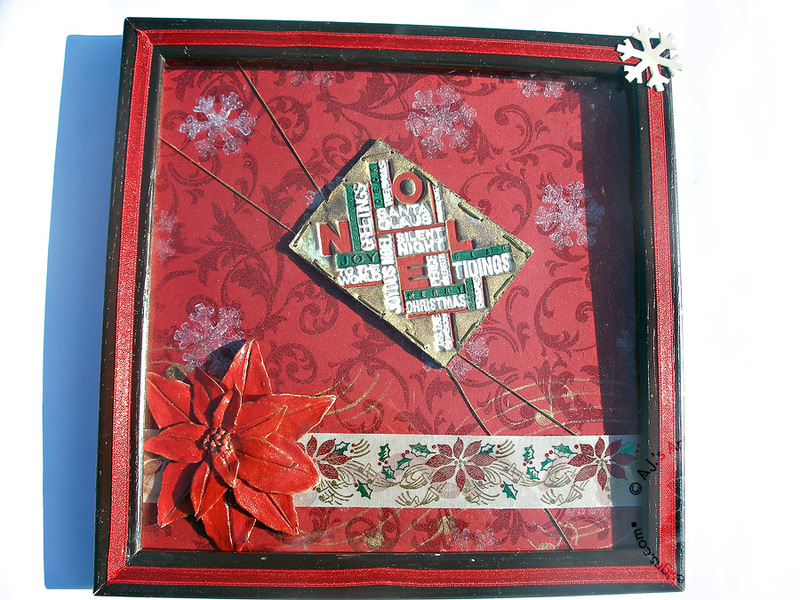 Roll out more Creative Paperclay® and stamp into the clay. Allow to dry for 24 hours. 5. Add gold Mica Powder while the clay is still wet. It can also be added after the piece is dry. Add Paint. 6. 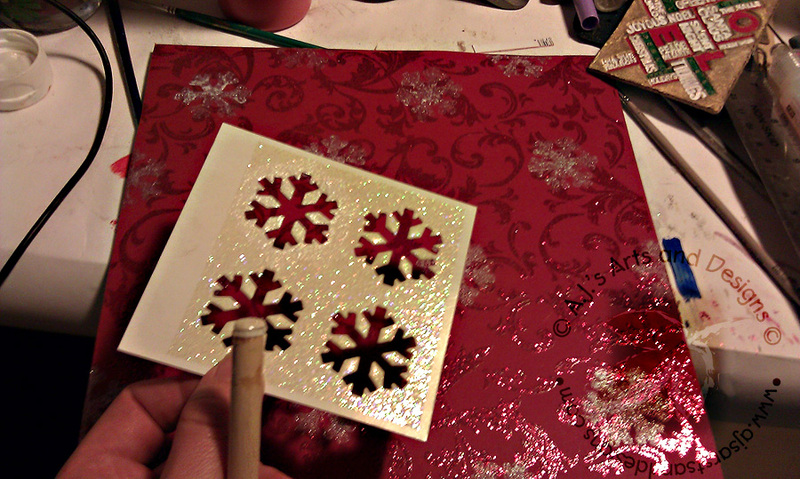 Use stencil and stamp the snowflakes on the background paper. 7. 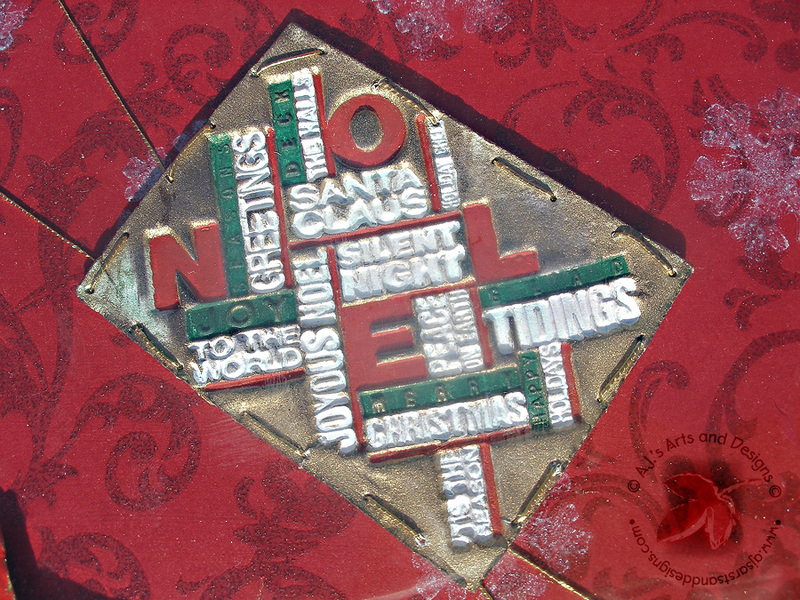 Add ribbon and music notes with the mica powder. 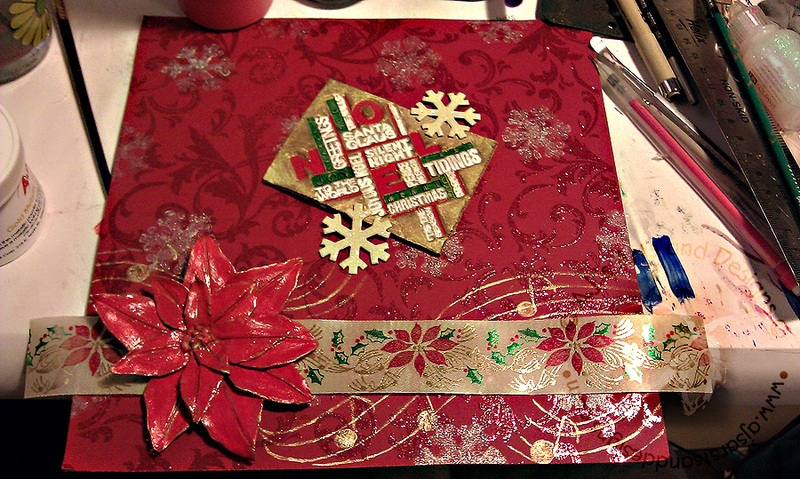 Using a gold string I attached the stamped piece to the background. 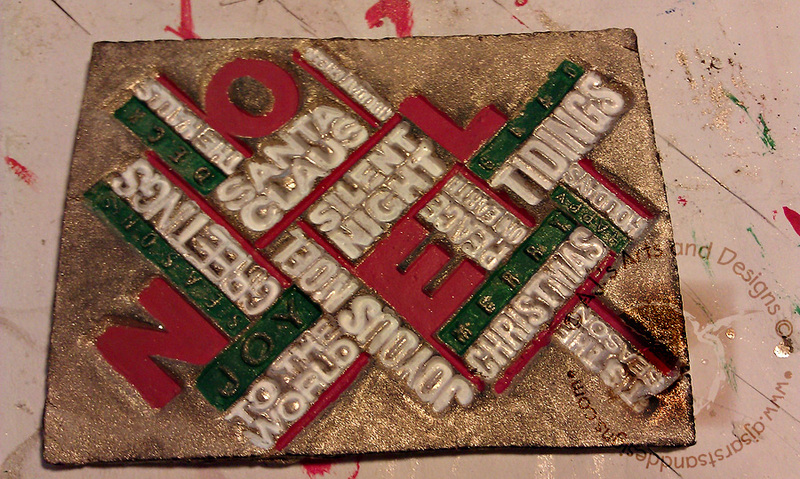 Using Tacky Glue® everything else was mounted together. I love this! 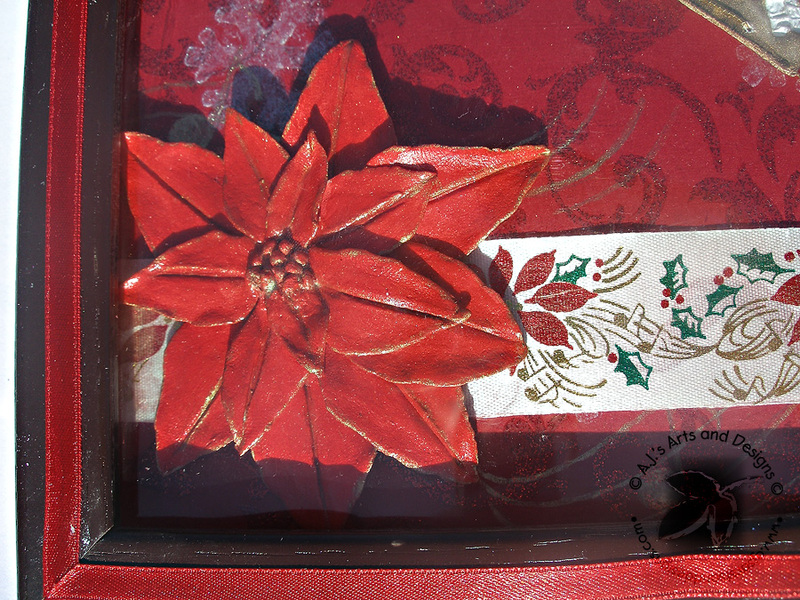 It would be make a perfect gift for family. The mica powder is super cool! I'd never heard of it before but now I want to run out and get some.